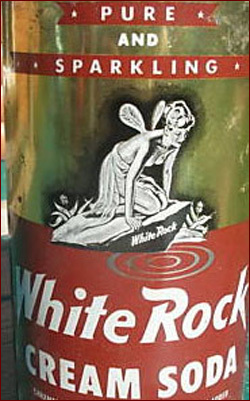 White Rock soft drinks are still made, in Whitestone, N.Y. (a part of Queens). The company, in business for more than 125 years, makes more than a dozen types of soda pop as well as several flavors of seltzer. The winged maiden on the logo is supposed to be Psyche, the human lover of the god Cupid.